Ian Davenport, Duplex Etching: Grey, Lavender, 2014, one in a set of 4 etchings with chine-collé, 45 3/4 x 44 1/2 in. 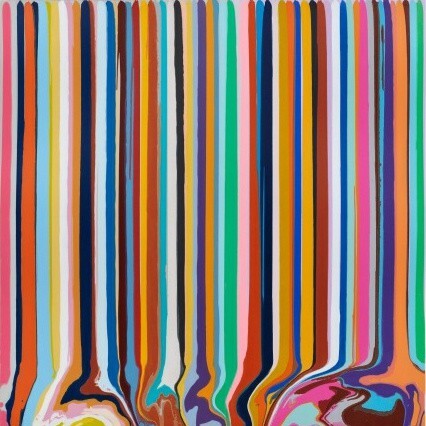 Pace Prints will present an exhibition of new monoprints and editions by artist Ian Davenport, on view at 32 East 57th Street, from April 3 to May 2, 2015. Davenport's first solo exhibition at Pace Prints will feature monoprints and color etchings with chine-collé. By employing gravity to manipulate printmaking grounds, these graphic works produce images that reflect the result the artist has achieved in his glossy pour paintings. The artworks continue his process-based investigation of the paradox between chance and control, the industrial and organic.